We have long known how unique McLean is. Now the region’s top business publication has discovered McLean and is reporting on our special place among Lake Wylie and Lake Norman waterfront neighborhoods. 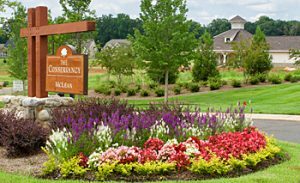 Traditional single-family homes in one of the Charlotte region’s most desirable small towns – that’s the winning formula for good living in McLean’s new Overlake neighborhood. Located near Daniel Stowe Botanical Garden, Overlake offers quiet residential streets, a neighborhood pool and easy access to community trails, waterfront and recreational areas. Belmont’s vibrant and historic village center, rich with restaurants, pubs and boutiques, is just a few minutes away. So many people have been charmed by The Conservancy’s one-floor-plus home designs and low-maintenance yards that our first phase is nearly sold out. Fortunately, Phase II next to Daniel Stowe Botanical Garden is coming soon. 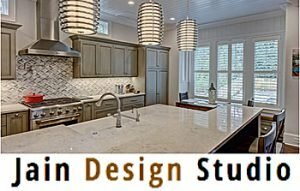 The team of South Shore custom builders has grown to six with the addition of Jain Design Studio. As both architect and builder, Jain Design crafts homes around the client’s lifestyle and vision, then brings that unique home to life. 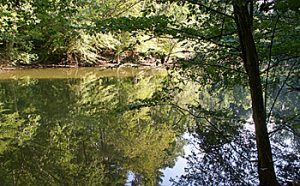 How special is the Seven Oaks Preserve and Trail bordering The Conservancy? Home to deer, turkey, osprey and more, the 77-acre preserve protects the longest undeveloped stretch of shoreline on Lake Wylie. McLean hosts the preserve’s trailhead and public parking, located on South New Hope Road, just south of The Conservancy. The Conservancy also has a trail into the preserve. Click here to learn more and view a trail map. Then take a hike! McLean’s new cafe has been open less than three months and already has added hours, seating, parking and menu items. 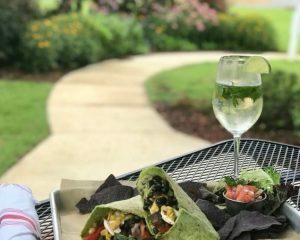 “We appreciate the input of our patrons, and we will continue to evolve to meet the needs of the community,” says Seven Oaks Café founder Chad Hutcheson. Among next steps: a separate supper menu and live music starting next fall. The Queen’s Feast Charlotte Restaurant Week put the spotlight on many fine area restaurants, including these Belmont-area participants. The event may be over, but the good dining is available anytime! There’s plenty to see and do in Belmont’s quaint village center. 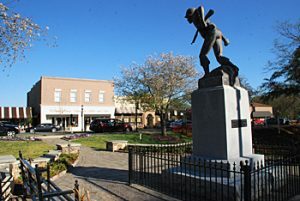 Explore on foot with help from this walking tour of Historic Downtown, available at visitbelmontnc.org. The website has lots of other ideas for good times in our favorite place (besides McLean, of course). 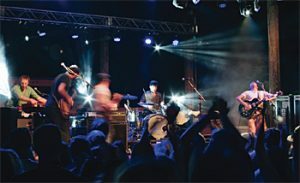 When the rafting’s over, the music ramps up every Thursday-Saturday evening through September at the U.S. National Whitewater Center. Enjoy roots rock, Americana, bluegrass, folk, funk and more for just the $6 cost of parking. Check out the upcoming performers at usnwc.org/riverjam.